It was during one of my most fascinating days in Calabria that I’ve finally begun to understand the cultural differences that make up a nation we call Italy. The differences between the north, the central belt and the south. Roman, Spanish, Norman, Arab….and Greek. Here in the South I realise that their Greek origins are a real source of pride. Though many wish to see themselves as more modern and wishing to leave it behind, it’s there…deep inside, like it or not! Visiting Gallicianò in the heart of the Aspromonte National Park, is a mountain journey which comes close to finding the source of Calabria. 600 metres above sea level, a very small community of about 60 people sit high over the valleys and still speak an ancient Greek language, not modern Greek but the classical, the original….spoken long before Christ. Yes there is a slight nuance of Byzantine now but the language remains virtually untouched. Something you might expect more from a tribe in the deepest Amazon. Our well-informed and enthusiastic local guides help us understand the nature of the place, from the functioning Orthodox church of Panaghia Tis Elladas (Madonna di Grecia), so small and pretty that you might just change belief to attend, to the 16th century Christian chapel that has decided to adapt, but not shake off its Greek origins….Children of the corn! The walk through the village could take but a few minutes without a guide, but you need a couple of hours if you want to learn something. And there is much to learn. The talks are fascinating, the history compelling. We finally settle in the local Taverna (there is another somewhere below we are told) as the sun sets and the lights dance like candles in the still warm air. Very local food – because you wouldn’t want to spend an hour down the twisting roads to find the nearest supermarket, and another hour to come back- is dispensed along our long table of fellow travellers in large appealing quantities with litre after litre of excellent hill-top wine. Roasted peppers, goats cheese, bruschetta, rice, capicollo, bread and fritelle (fried courgetter flowers) is laid down, dish after dish. The unspoilt taste of nature! I heard what sounded like firework explosions or loud gunshots in the distance. Having heard it many times before in the hills above where we live and taken it to be sportsmen out for game…I am now better informed. It is small explosives, set off now and then, to keep the wolves from coming too near the sheep! The wild is never too far away! You live and learn. Thinking the day was over we climbed back into our mini-vans, fed and feeling replete. Without a moon we were enveloped in almost complete darkness. But this was only the beginning of the journey! We climbed another 300 metres to about the equivalent height of Ben Nevis and eventually found ourselves in the middle of a dense pine forest (Monte Scafi). We started to make our way with powerful torches (not a glimpse of human interference or moon in the sky). Only when we had walked through the canopy of pine scent, crunched through dried forest needles and had reached a large clearing were we encouraged to switch off our lights. Not since the very north of Scotland have I ever seen such a sky! Our group fell silent! The stars were as clear and close to our noses as if magnified, sheer uncountable brilliance! Wow! A shooting star….and another! Streaking across our universe, the light show had started. I think we all went back to our vehicles buzzing with incredulity, thinking our guides couldn’t top that! We were wrong! Next stop, slightly further up the mountain was to another village, the highest in Aspromonte, Roccaforte del Greco. We stopped once again, disembarked and were taken up to a balcony of people waiting for their host to begin. Centre stage was a huge electronic telescope, pointing to the sky like a massive cannon and our host for the next hour. We were treated to a guide round the galaxies, laser pick-outs of constellations and for me…my first “live” view of Saturn’s rings in technicolour….only interrupted by rude shooting stars which seemed to come from all directions, like the bats that joined the fun from….yes…the belfry next door! Our big lives made small, our small lives forged by time. I know a little more now but the Universe however, is still all Greek to me! The story of Dave The Chair, two-head John and Danny probably started back in the 18th century during the colonial wars….or maybe even before! A time when injured war veterans and the slightly odd in society were cast out onto the streets to beg. Their reward. For me the story of Dave and his friends begins way back when Gorbals Glasgow was being pulled down and I was on my way to the theatre. Three men were huddled round an open fire and I wondered about their stories. The song finishes in the South of Italy in the present day, but the story will probably never end. After centuries of enlightenment and modernity, we continue to treat the heroes and the damaged minds the same way, all over the world. In some cities now it’s even illegal to give these people food. So next time you pass a homeless person, don’t look away, don’t just toss a coin….be brave, ask them their story! The last echoes of a solo trumpet drift across the Straits of Messina towards the dying sun. The sky changes colours like the textures of diminishing chords. The final performance of Ecojazz 2017 was about to begin. On a hilltop behind Reggio Calabria the 26th annual jazz-fest closed with the day, to the massed rhythms of Luca Scorziello’s 17 piece ensemble, “I Tamburi”. Summer in the South of Italy means two things, full beaches and live music and more often than not… together. Everywhere and every night there’s a festival or a show, at the lidos or open air theatres, in roadside bars or on the hilltop….Like the Edinburgh Fringe in August, only hotter. Much hotter. There’s such a choice of entertainment that selecting your evening’s venue can become extremely difficult….from Ethnic folk to rock, blues to pop, original artists and the usual plethora of tribute bands compete for your attention and attendance. But it’s not just local talent that’s on display, this is when we’re drooling at the ears for the visiting international performers. This season really got under way with a terrific performance from a regular visitor and favourite, Sarah Jane Morris and her amazing group, who performed under the ancient floodlit walls of the 15th century Castello Aragonese… and the signs for the summer were looking good. Every seat was filled, the low walls of the piazza were packed. This has been a concern of mine over the last few years, particularly for what I consider the highlight festival , Ecojazz! It brings some of the most incredible musicians in the world to our door but recently the audiences have looked scant, a smattering of aficionados and true fans whose tickets (max 15 euros) can hardly have paid for the stage and sound engineer’s refreshments. A niggling fear that this quarter century old festival will have to cut its cloth and deny us the stars, the new jazz as well as the classics. But I was underestimating the sheer bloody-minded determination of its organiser, musical director, promoter, agent and founder, Giovanni Laganà. This year, whether it’s because the line-up was so well crafted or because maybe there was a little more money around or just Giovanni’s refusal to let go of a dream…the audiences were back! Start times were delayed to allow the crowds to find their seats and settle down in the stepped semi circle at the old fort, Parco Ecolandia! (note, delays are not unusual in Calabria, more out of hope than expectation, as when a show is advertised to start at 9.00pm that’s the time most folk get into the shower and then dress before making their way to the venue) This time though, it was about the numbers who arrived. Due to the week’s extreme temperatures, believe me, all the seats were hot seats. The festival is almost spiritual in its conception and, like all births, it found its way into the world with some pain. In 1991 judge Antonino Scopelliti was gunned down in Calabria, the same year as another judge from Palermo, Paolo Borsellino, also met with a similar fate. As a reaction to the Mafia violence a group of young men, including Giovanni Laganà started a “resistance” movement the following year….using Jazz as its medium. EcoJazz! Running over 7 days, it starts at 4.30am on the first day with a performance on the Lungomare (often referred to as the most beautiful Kilometre in Italy) to greet the rising sun, a reveille to the coming treats at the Fort. And what treats! This year brought Richard Bona and Diane Schuur over from The States, Toquinho and Selma Hernandez from Brazil and strong contingent of Italian acts who did much more than fill in! IT was hard to choose how many shows we could see but each that we did was brilliant. However, the cream on top for me this year, was the closing performance on the final day. Since its inception, Ecojazz week has closed where it all began 26 years ago, in Pellaro, a hilltop adieu to the festival and the setting sun. Luca Scorziello, a nationally famous percussionist gave us his usual and unforgettable blends of latin and jazz. 4 Drummers, 4 percussionists, 2 keyboards, guitar, bass, xylophone, 2 vocalists, a trumpet and Luca. 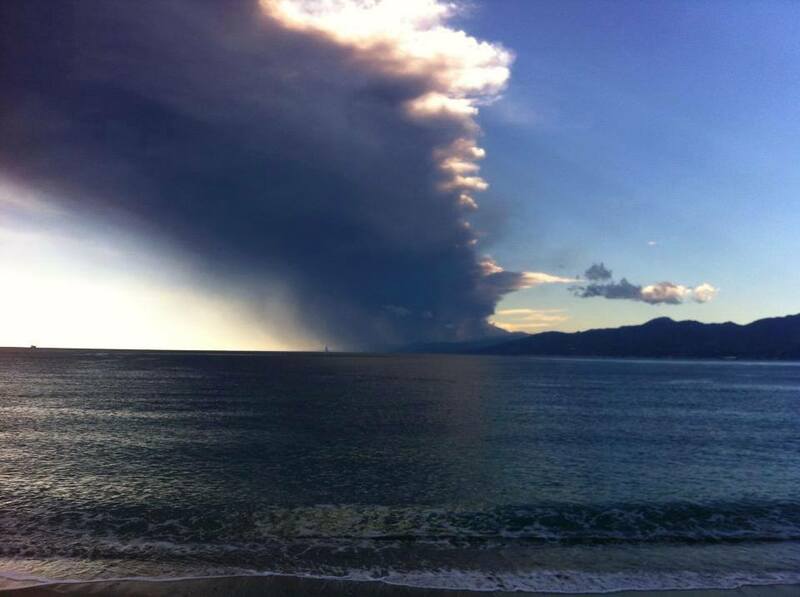 If you’re ever coming to Calabria….make sure it’s during EcoJazz Week! A rare trip home to Scotland for my nephew’s wedding and an opportunity to show my Italian wife a little more than just a soupçon of Glasgow or the suburbs of Edinburgh, her only real previous experience of my homeland…. 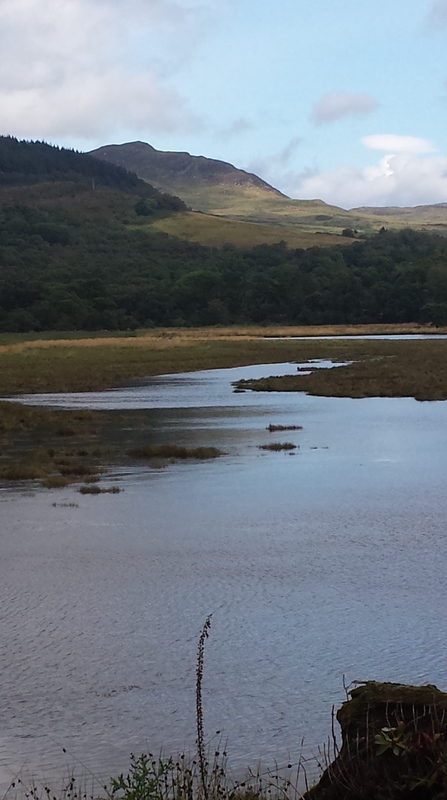 Hence we sneaked off for a two-day road trip round the secret coast of Argyll. Although not my clan’s territory – that lies a little further north – and the land of our once-sworn enemies, The Campbells, it holds dear memories. Like the mists that slip gently down from the mountains, benign spirits roam these glens…. kindly ghosts that have always made me feel that it is my spiritual home. My wife scoffs and, for mock-worthy support, reports my misty-eyed proclamation to one of my sisters, later in the holiday. “But that’s exactly how I feel” reposts my elder sibling. “It’s where I feel I belong.” So it’s not just me. Our route mapped to make the most of the two days, to avoid any doubling back on the same roads as much as possible….we head for Gourock and the ferry across the Firth to Hunter’s Quay on the Costa Clyde. Where once upon a time Glasgow holiday makers came in their thousands by paddle steamer, before the invention of the package holiday in Benidorm. 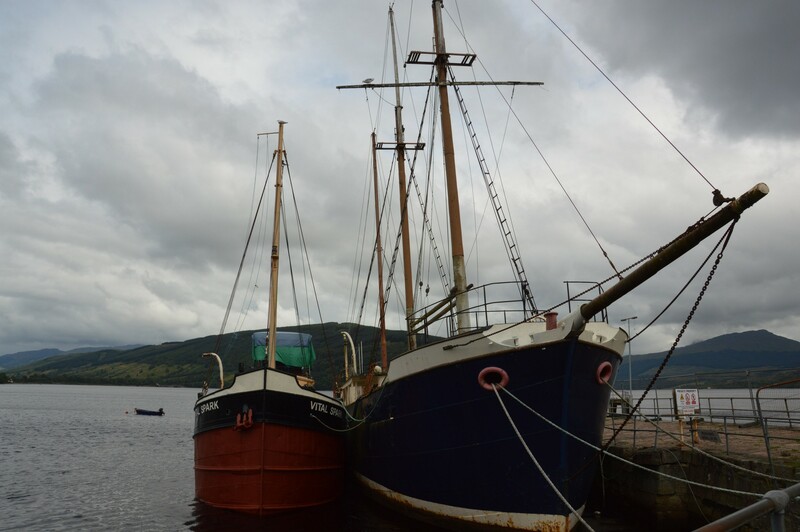 The steamers used to bring 6,000 a day in those heady August days…..to Dunoon, Bute and the great lochs. After disembarking at the quay, we gave the local hotel a side-swerve. The last time I entered its portals (with my old friend Al many years before) we didn’t re-emerge for some hours, having sampled almost all of its malt whiskies and settled on a bottle of Laphroaig. The forthcoming drive through Glenlean to Loch Ridden was a twisting single road and as I didn’t recall much of the last time, for all the wrong reasons, I was taking no risks this trip. The narrow but fabulously well-maintained road takes you through unspoilt lands less than 30 minutes from the wasteland of Greenock’s dying ship industry. It’s a different world and a different time. Just after we passed a small clachan of white-washed cottages at Clachaig, where the women-folk made gunpowder for Wellington’s canons two centuries before, we had to slam on the breaks. It was a break-out! 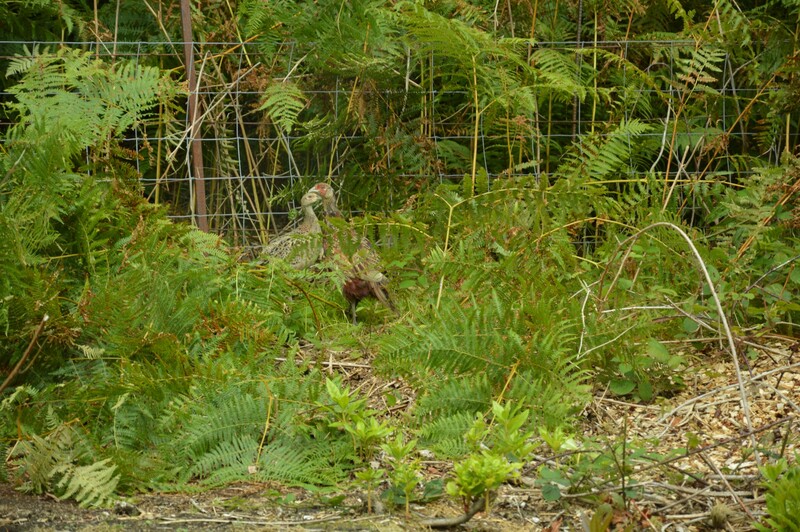 Scampering from the estate on the left, crossing the road to the freedom of the woods beyond was a brave escape party of grouse….the shooting season had only opened the day before, the Glorious 12th, and these birds were not about to humour the sporting ambitions of the wealthy nor the pans of restaurant chefs across the nation. We stopped and nodded to each other. The birds and us, still game after all these years. We made the steady descent from the pass, past Loch Striven and down towards Loch Ridden and drove slowly round the head of the loch. I was looking for a track to the left, another lane of memories. The signpost says Ormidale Lodge. We made our way along the narrow farm track towards the small pier at the lodge. 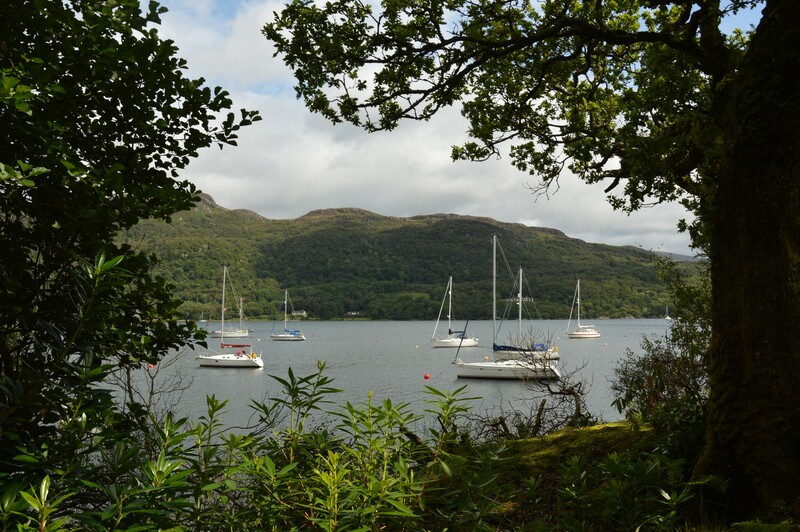 This is where my father and I had come many times, to board his boat moored on the loch…sometimes sailing nowhere but just to sleep on board and sigh at the pleasures of waking up to the wistful smell of bacon and eggs and fresh coffee drifting across the glass-like waters from the galleys around us. “Do you want a tissue?” Maria laughed. I did, and wiped a moist eye. Now given over to sleek white-hulled yachts which rest still in the sheltered waters, this pier was once a vital supply stop for the Clyde Puffers….small smoke-stacked steamboats which would transport everything from coal to gravestones, food and supplies for the coastal communities dotted all around the West of Scotland. Even the famous Vital Spark, the puffer of Neil Munroe’s “Tales of Para Handy” docked here…..at least to film the old TV series. Fond memory momentarily served, we edged back along the loch-side and re-joined the main road, turning left towards Tighnabruaich and Kames…..and the Kyles of Bute. I knew without asking that Maria was absorbed by her surroundings, little gasps of delight punctuating the chatter of her Nikon. It was the hour for a refreshment but there had to be time to stop at one of the most stunning viewpoints these Isles have to offer….the spot where I imagine my last resting place to be. At the top of the hill, half way to Tighnabruaich, there is a layby and a viewfinder. If you ever pass this way, stop! 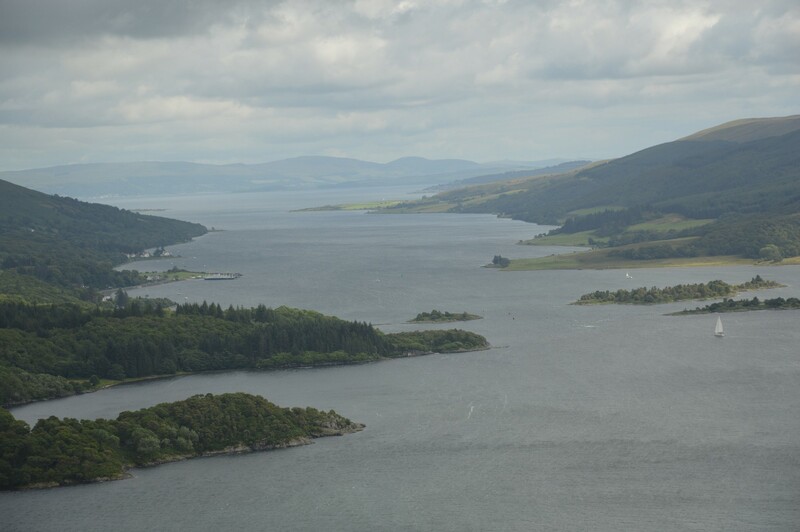 You see the breath-taking view down over the Kyles, over the Maids of Bute (a collection of small islands at the top of the waters) to the Isle Of Bute itself….and in the distance, the mainland. It is spectacular and with distant sails beating and tacking around the channels, it’s a million miles away from the rush of the city. A Yorkshire accent at the village greengrocer recommended the Kames hotel as the best watering hole in these parts. We took his advice and were not disappointed. A range of ales and a mouth-watering blackboard menu of seared scallops on a bed of black pudding, Cullen Skink and more…..our dream menu! This is why we’d come this way…..Our love of seafood, and there is nowhere better than in this small part of Scotland. However, we’d started the day with a fortifying Scottish breakfast and we knew that the evening meal would be five star, so we mustn’t succumb to temptation! A beer and crisps would have to suffice. So after a very pleasant Fyne Ale, after watching the sails track the Kyle and after breathing in the fresh smells of water and newly-mown grass….we took our leave. Off back up the road, past Ormidale and now down the eastern banks of Loch Ridden to Colintraive. 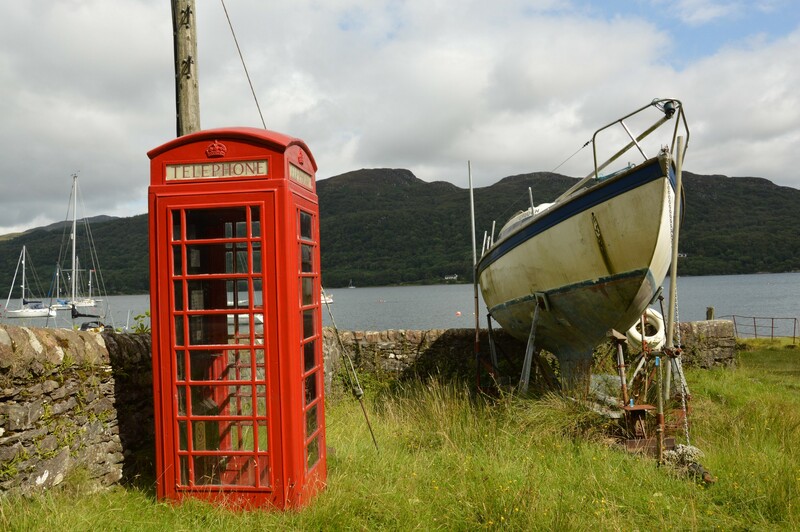 This is the place where we take the ferry to Rhubodach on the Isle of Bute, both the shortest and possibly the most expensive ferry crossing in the World, but also one of the prettiest. However, don’t let the “expensive” put you off. The crossing is no more than 300 metres and takes less than 2.5 minutes….so it’s only cost per metre that makes this fact worthy of Wikepedia. In fact, it’s less than £20.00 for a 5-day return for a car and two passengers. At the small dock we got out the car and took the short walk to the Colintraive Hotel…….another bunch of memories were calling. “Perhaps a wee one before we go” I suggested. I thought about this. Have I sampled too many beers in my past, have I known too many warm snugs on a winter’s day or terraces on too many summer evenings? NAW! So for old time’s sake we decided on a swift one in the hotel…..it had to be done! Once in the hotel bar, occupied by a couple of foresters, a fisherman and two seafarers, I asked the question. “Bearing in mind this is the peak season, I’ve been surprised at how quiet the roads are…..Are you busy these days”? “We’re doing pretty well actually,” Said the lass behind the bar. 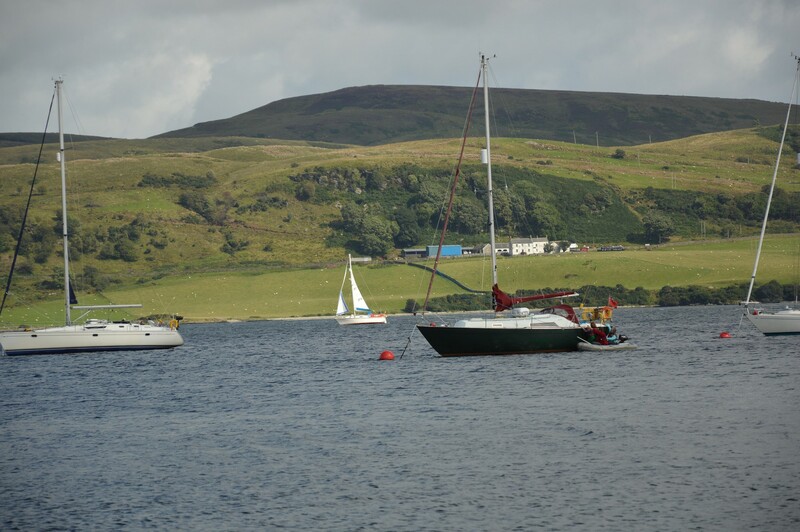 “Fact is, the tourists are probably out walking the glens at the moment while most of our usual customers are the sailors.” At this, one of the seafarers at the bar leaned over and said, “Aye, that would include us” One of the yachtsmen had recognised Maria’s accent. “So you’re not from these parts then?” “No, we’re here on holiday from Italy.” Our new found chum then told us about his sailing experiences round Italy and his brief stay in our own town, Reggio. His partner then chimed in that the fishing was good at the moment, they’d caught a dozen mackerel last night in 30 minutes. “What did you do with the fish I asked”…Ah, we’ve got a wee smoking machine on the boat, so a little fishing, big breakfast of smoked mackerel.” Our mouths were beginning to drool and our visit was becoming a little all-too-comfortable….the stories were coming thick and fast. Somehow we got back round to the links between Italy and Scotland, the number of famous Scots with Italian names. “Actually.” I said. “We’re off to see an old college friend on Bute who I haven’t seen for over 25 years, and one of our best friends was a Scot with an Italian name….John Guidi.” “That would be Carlo’s brother.” Stated our well-travelled companion matter-of-factly. “Well yes.” I replied. “How did you know?” “Och half of Scotland’s Italians come from a town called Barga, in Tuscany. If you go there in the summer you’ll hear as many Glasgow accents as Italian….when they all go back to the homeland for their holidays. They call it a little piece of Scotland in Italy.” Only in a bar near the Cowell peninsula would I have learnt this. It was time to head for Ascog, to a night with old friends and more stories from the past. As we left the hotel and got into our little Fiat 500 rental, the ancient mariners walked unsteadily past. “Ach, you even got a wee Italian car.” Chuckling as they weaved their way back to their moored vessel, anchored safely in the shelter of Memory Glen. 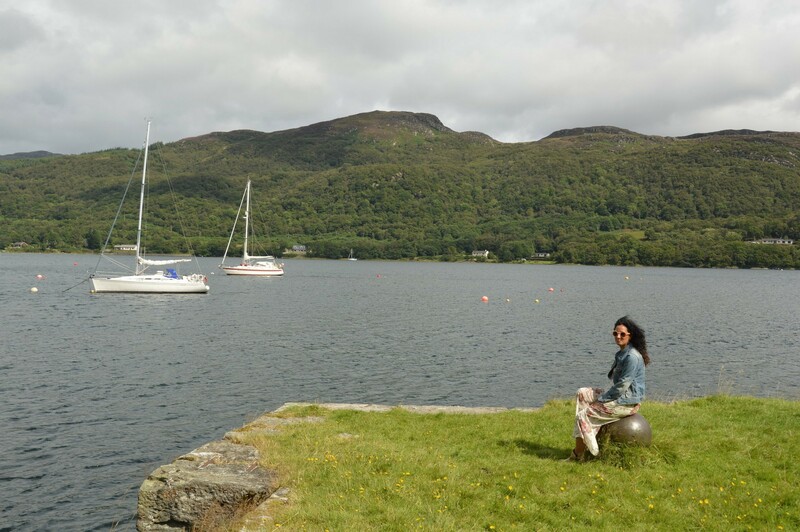 Tags: Argyll's secret coast, Barga, kames Hotel, Kyles of Bute, Loch Ridden, Scotland, The Tales of Para Handy | Permalink. It has become a ritual. Every morning. Lunch!!? I haven’t even had my coffee, never mind breakfast, and she asks me what I want for lunch! My head and my stomach won’t start communicating with each other for at least another hour! Good grief, It’s Sunday morning and I’m still not sure why I’m up this early. I should be prepared for this by now. One day, I’m going to prepare a menu the evening before. “Mmmm” I’ll pretend. “let me think. How about fried “alici” followed by chicken cacciatora with roasted peppers and carrots?…..oh and maybe some tiramisù for dessert.” That’ll soon put a stop to it! I never do and probably never will. It’s then I remember why I’m up early. I have to meet some people for aperitivo (some rather filling arancini, potato croquettes and a glass of prosecco) at Cameron’s Cafè* to discuss a quote for some finishing work we have to do on the house. We chew the necessary cud before getting down to business, it’s always polite. 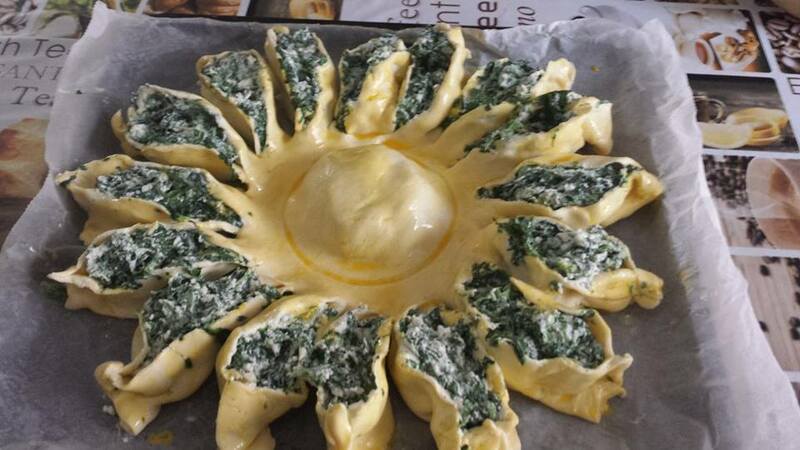 We continue to talk about the best way to cook these for a while before we turn to the project…..
Later, business done and start-date approved, we shake hands and kiss cheeks. “Buon pranzo” (have a good lunch) we say, as is the custom. I’m feeling a little full already. It’s on the way back in the car that I begin to think about this. How much is a cultural identity defined by our small talk? 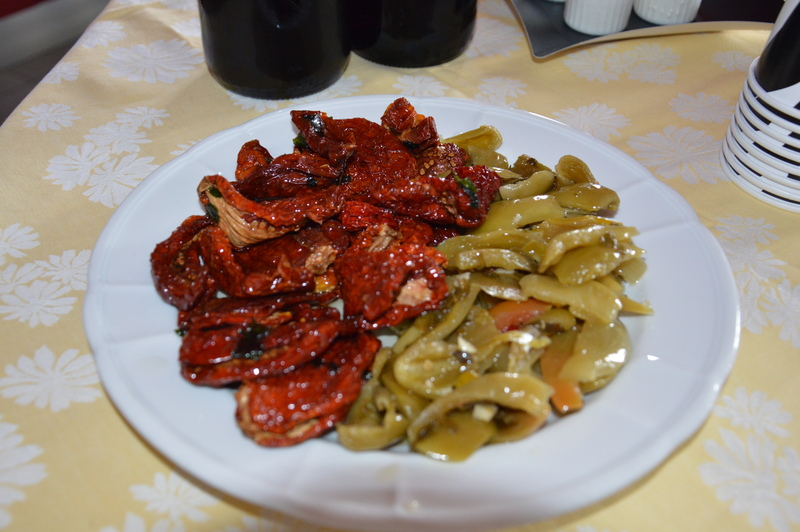 In some parts of the world it’s the weather, in others the latest sports results but here in Calabria it is most definitely….food. Even in Rome! The only time I’ve ever caught a taxi in Italy was in Rome and within a second or two of climbing into the vehicle the question was…”where are you eating this evening?” If a taxi driver’s opening gambit isn’t the cultural compass of a nation then I don’t what is. As I write this post I’ve just woken from a nice siesta. Not, as some would think because of the hot weather but, as winter siestas bear witness, LUNCH! The Italians are fiercely proud of their cuisine, quite justifiably in my humble opinion. But why… is the really interesting question. Suggest a nice French Chablis and they’ll scoff. Present aubergines at the table in December and they’ll know they’re not fresh. Strawberries in July are not something you’d use and even the tomato sauce we use for our pasta in January is prepared, jarred and sealed the previous September, for natural preservation….no additives, well except for the fresh basil. 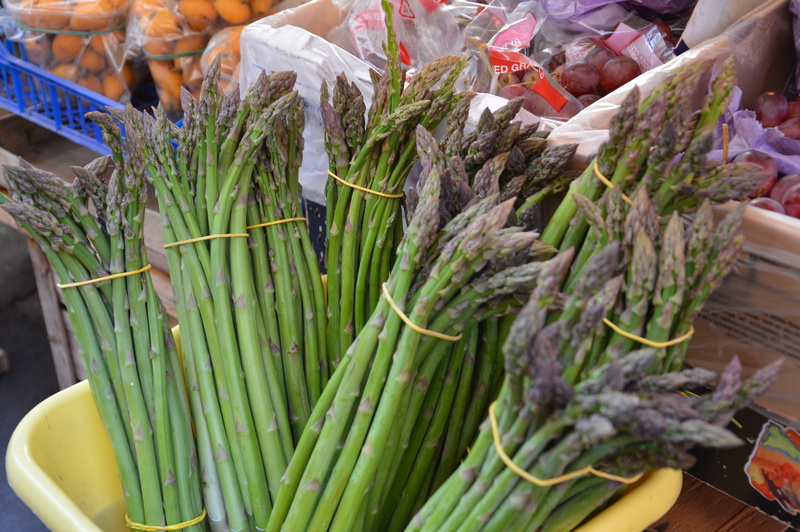 Supermarket fruit and vegetables are greeted with healthy suspicion. As standard bearers of real food, the Italians still have numerous private fruit-and-vegetable shops, butchers, and fishmongers on the high street……the supermarket exists but can’t compete, at least not when it comes to freshness…….We don’t even pay more. Our nearest city is Reggio Calabria and even with a population of over 200,000 there’s only one McDonalds. Bromley has at least six similar “restaurants” just in one street. The most wonderful thing however, is the non-homogenised regional menu. Let me take you in a helicopter and drop you blindfolded into any region in Italy and by food alone you can identify your location. Where else in an increasingly corporate Europe could you do this! PS. Remember the nightclub I mentioned? It’s a sign of getting older when you go late-night clubbing and the only pill you’re likely to pop is one for indigestion!!! Food again! Tags: alici, Calabria, courgette flowers, fiori di zucca, Italy, lasagne, mother-in-law, pasta, Reggio Calabria, tiramisù | Permalink. Tradition had always dictated that we spend Mayday in the mountains with Uncle Nino and the family – the usual thirty-odd waifs and strays that settle along the long table for homemade bread, pizza, pasta and anything else you care to collect from the farm, as summer beckons. But, this year, regretfully no. 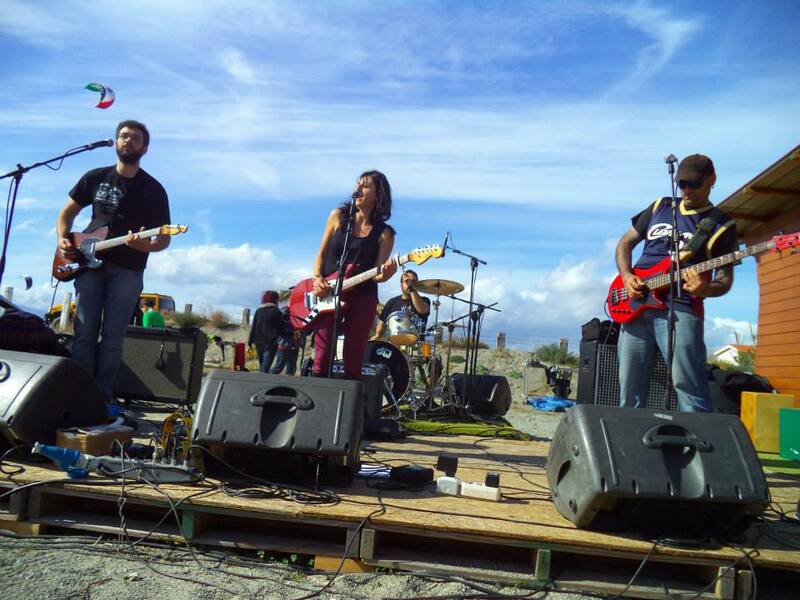 The mountains are unusually cool at the moment and hey, we’ve got wind of the first open-air music fest of the season…at one of the much-nearer and considerably warmer surfing clubs on Punta Pellaro Beach, the aptly-named Free Spirits. 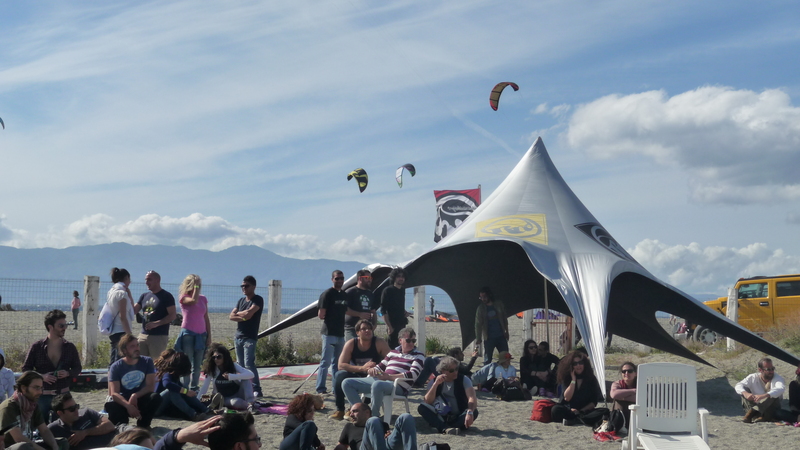 When we arrived in the early afternoon, we approached from the beach-side and the place was already buzzing. A number of very large tepees were casually placed across the sand, on wooden bases, covered with scatter cushions and Moroccan lamps which only added to the distinct Sahara feel that you often get in the Southern Med. The BBQ was already fired-up, spitting and hissing the sweet smell of Italian sausages and red onion while the shelves of the fridges behind the bar were being rapidly emptied of their chilled elixir. “Grab a couple of beers and I’ll see you by the sound-desk.” Said Maria, shoving me in the right direction. Maria was heading towards Teresa Mascianà, the opening act and our main reason for coming. By the time I’d queued, bought the refreshments and weaved my way back, avoiding the psychedelic surf boards that were passing through the crowd on their route to the sea, the sound check was complete. Warm greetings from familiar faces around the stage made me feel as if I belonged at last…..one of the crew. I settled down on the sand, laid back and sighed. The sound of “Good Vibrations” meandered through my head. No need to wonder why! The crowd grew….and grew. Some people slipped off only to come back with more. Word was getting round. Teresa and The Organ Donors fired up and fairly ripped through their set. This band was on-song. The mood was having its effect, with the guitarist unchained from his effects board and Enzo, with his red bass looking like a toy against his big frame, moved and generated gleeful energy. Faultlessly smooth and inspiring, the audience applauded with enthusiasm and appreciation. It was the audience’s reaction to the following acts however, that really took me by surprise. Teresa had taken over “desk” duties as her experience was going to be sorely tested by a local folk group, “Skunchiuruti” (skoonquirooty) which might translate as “someone illogical” or “ploughs their own furrow.” Typically these bands of merry men will vary in numbers and in instrument choice as the performance goes on, giving the appearance of total chaos……swapping positions, a clattering of mics, (una due, una due) the tuning and retuning of ancient stringed-things, and the inevitable delays between one song and the next. 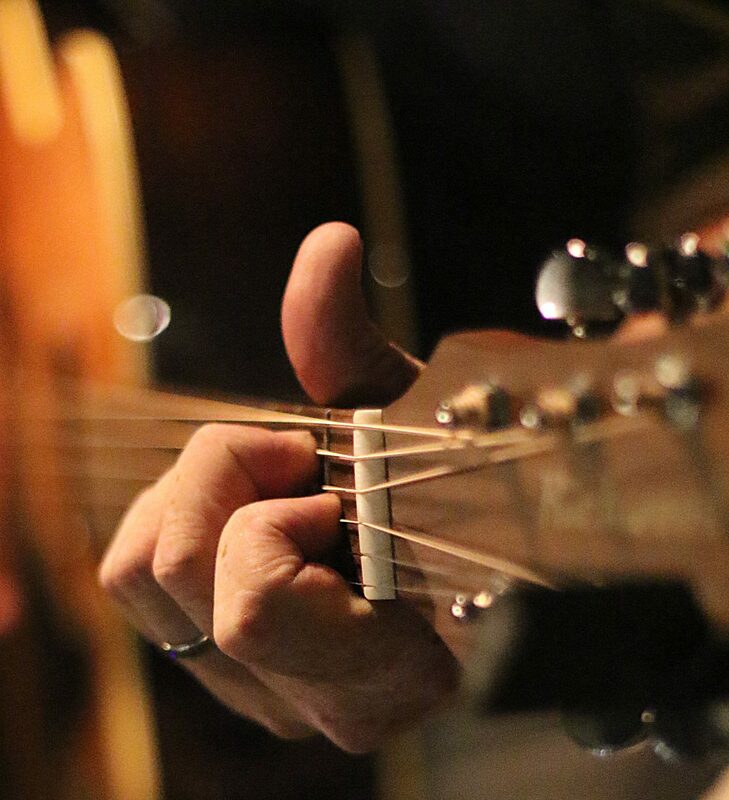 The simplicity of this type of music (usually just two chords) means that virtually anyone can join in…. and invariably they do. After a couple of tentative starts the group got going…….like a train. Suddenly, we witnessed something that would have been unthinkable even five years ago, a time when most young people would have turned a lofty nose down at this sort of music. 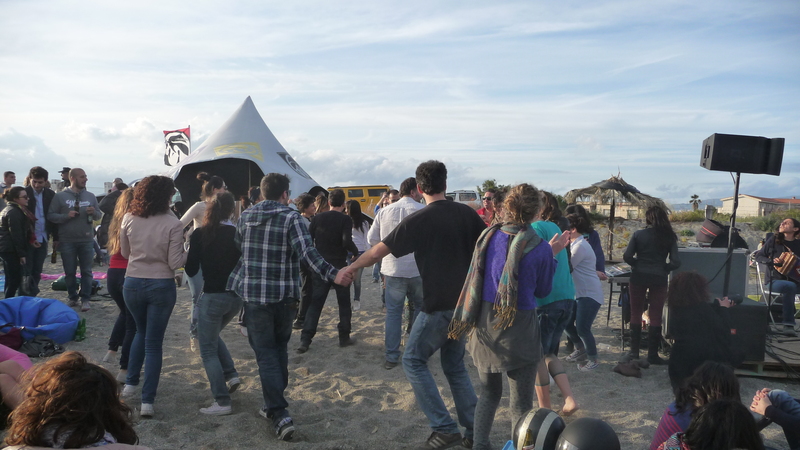 En masse, the audience were up on their feet….. dancing, spinning, reeling like a Scottish Ceilidh on speed……on the beach! Very strange! Whether it was the sun, the beer or the simple joy of a mid-week holiday I couldn’t say, but there I was, up and spinning with the best of them. 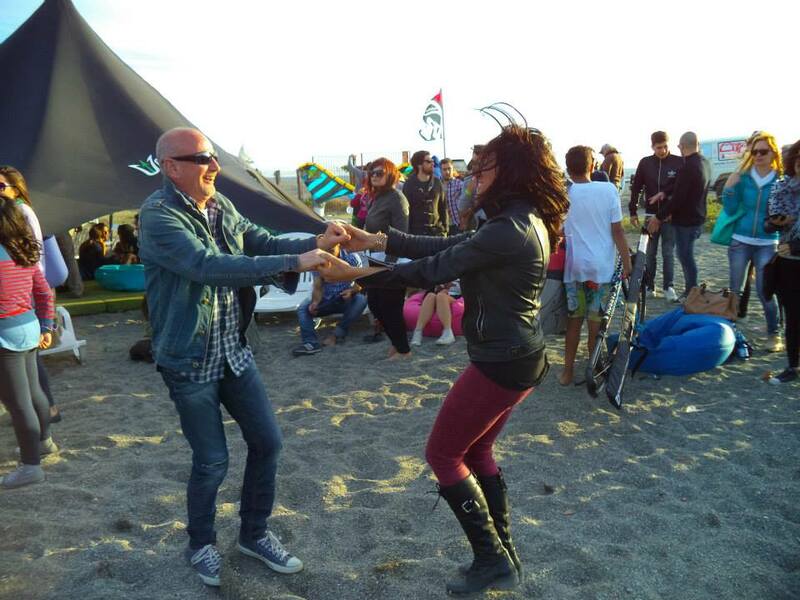 The music was infectious…..it must have been because dancing on sand is not the easiest thing to do, especially when you’re just recovering from a badly sprained ankle. All the while, surf boards shuffled back and forth through the mayhem to perform their own pas de deux on the sea. Multi-coloured wind kites swooped and rallied across the sky blue….airborne dancers round invisible maypoles. This was guilt-free celebration, and not organised to the nearest Monday, just a day of hope….on the day it should. So, I hope you’ll take a little time to listen to those who made the day the perfect overture to summer 2014. 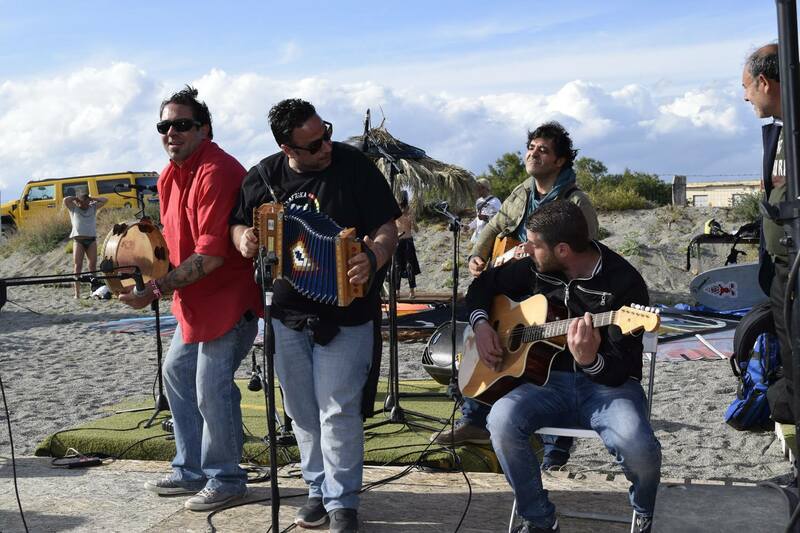 Tags: Calabria, folk, kite, Music, Pellaro, rock, surf, tarantella, wind | Permalink. I watch from the Autostrada as the explosion of black cloud erupts from the snow-capped peak of Etna. A single long, dark grey cloud forms and snakes towards us. This is not weather, not a rain cloud. This is volcanic dust. Within a matter of seconds my car has changed from silver to black, the streets have gone from pale concrete to dark graphite. It’s raining pebbles of ash!